Paella Valencia, Queen of Paellas Now Has its D.O.- But Not Entirely Popularly! Paella Valencia - The Real Thing! 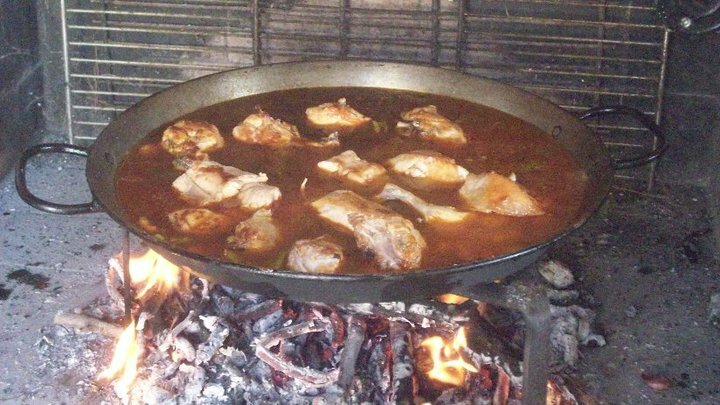 In September 2009 my second post was about the creation of the Platform for the Defence Of Valencian Paella by a group of 10 top restaurant owners in the Valencia area. They were shocked at what was being passed off as Paella and were seeking Denominación Original status which would define the ingredients that were permitted. 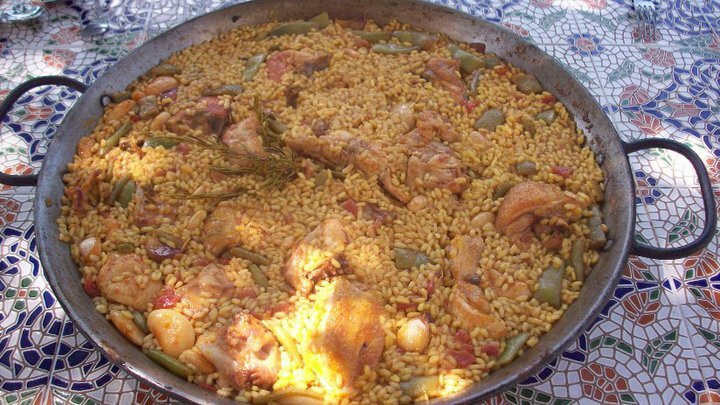 Anything else would simply be a paella or an arroz ( rice dish) and could not be described as `Paella Valencia´. Remarkably quickly for Spanish bureaucracy and entirely to its credit, this week the Government in Valencia has decreed that Paella Valencia does indeed have its own DO. Moreover it has decreed the ten essential ingredients and one or two seasonal variations that go into the authentic dish. Quickly on its heels the DO for Valencian Rice has thrown its support behind the initiative and will provide a sticker for restaurant windows which will identify it as an establishment where the authentic Paella Valencia is served, thus ensuring that tourists are not hoodwinked into trying something passing itself off as the real deal! Chicken, Rabbit, Beans, The Base Ingredients. And you would think everyone would be very happy with this wouldn´t you? Oh no, voices are raised in objection already! 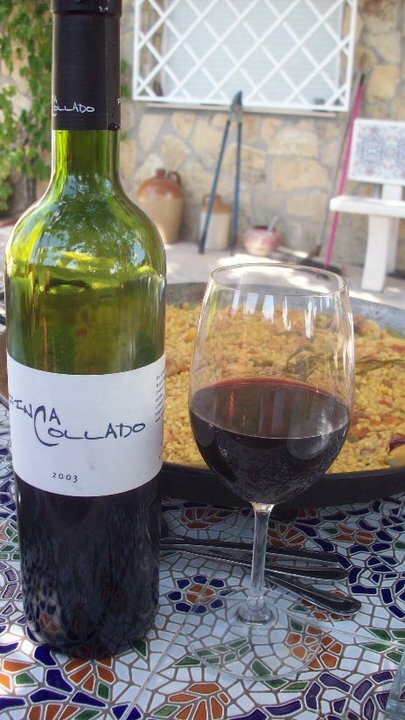 The problem is all Spanish families have their own personal variation ( or variations) of `authentic´local dishes! Many will not be happy at being told that the Valencian Paella they have cooked for their entire lives and probably in competitions in their local towns is not the real thing! Moreover Valencia is a province ( one of three including Castellon and Alicante) which make up the Valencian Community. In my experience the gastronomy here changes every thirty to forty miles and dishes cooked in the Horta Norte are very different from those in the Comarca of Utiel-Requena or the Plana Alta. Paella is one dish cooked in every area of the Valencian Community but there are huge regional differences depending on the variety of local produce. Paellas can include seafood or even be vegetarian ( trust me-I do not lie) and one of the most famous here in my locality of the Camp de Turia is Paella de Bledes, ( chard ). Paella Valencia it is not! So, what is? 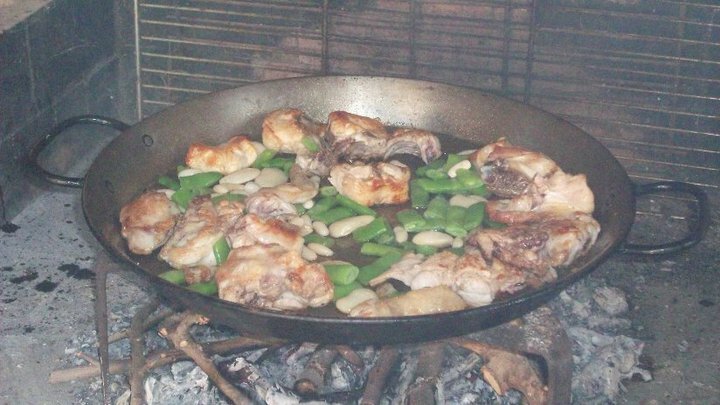 Historically the dish was created in the Albufera district South of Valencia and was a working mans meal where they could carry their ingredients with them when they went to work. Originally eels, wild duck and rice which were plentiful in the area were included. Gradually the area became more populated and the locals started to build houses and create gardens. With them came the inevitable small livestock ( chickens and rabbits) and it is this which now makes up the basis of Valencian Paella. Bringing the Water to the Boil! Officially the ten ingredients are as follows:- Chicken, rabbit, tomato, white and green beans, saffron, oil, salt, water and rice. The paella is traditionally cooked over a fire of orange wood in a `paella´ which is a flat metal pan. The oil is heated until smoking, salt added and then the chicken and rabbit pieces are browned before adding the grated tomato and beans. These are cooked before the water is added with the saffron, the salt is adjusted and then the rice incorporated. Once the rice is cooked the dish stands for a few minutes and is then eaten communally from the pan, each diner using their own spoon and all fighting for the `soccorrat´which is the most highly prized part, the slightly crispy base of the dish. Sounds simple doesn´t it? It is not. Moreover I live just 25 km from the Albufera as the crow flies. Here in the Camp de Turia paprika is added to the dish when the chicken is cooked, and small local snails, gathered from the tops of wild fennel stalks after rain are very popular as well. When the water is boiling and just before the rice is added a small bunch of fresh wild rosemary is incorporated as well. In other parts e.g. Castellon pork rib is included and elsewhere strips of cooked red pepper are added. These recipes and their local variations are sold in restaurants from North to South so I suspect the arguments will continue for some time to come and the DO for Valencian Rice may find it difficult to give its stickers away. Like all Protected Foodstuffs and Wines the idea is to protect the identity and no-one can dispute Paella Valencia is the most Nationally ( and Internationally) paella…….and sadly there are some atrocious variations which bear no relationship to the original dish. If tourists in the Valencia area are protected from some of this abuse then the initiative will have been worthwhile. But changing the habits and lifelong recipes of every Valencian family? I think that is one aim which is doomed to failure. I have no doubt `Valencian Paella´ will continue to be cooked and enjoyed with its whole host of variations! And a Good Bottle of Wine to go with it!